Do you have the sense that you were born to do something more with your life but you don�t know what that is? Do you long to step into your power and live a life of passion? Do you wish to be of greater service? Are you willing to follow your soul's desire? Join master teacher, Pagan, and mystic T. Thorn Coyle in activating the magical formula known the Four Powers of the Sphinx. These four powers � To Know, To Will, To Dare, and To Keep Silence � help bring about a profound shift in how we view and move through the world. They will point you toward your highest purpose and show you what to do, both practically and spiritually, once you�ve found it. They will lead you to a life of magic. Find your soul�s work. Follow desire. Live a life that matters. 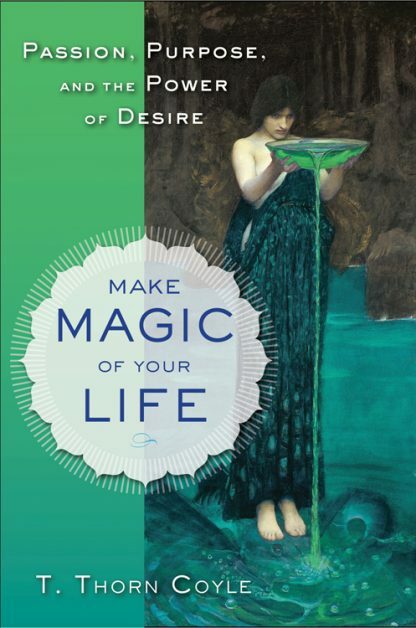 From the introduction:"Working magic means showing up with your demons and your divinity, your sorrow and your joy. Alchemy only happens when we are willing to go through the processes of gathering together, refining, pouring, and solidifying. In the end, we have something fine to hold."